June is Cataract Awareness Month. You should note two things about cataracts: Cataracts are the leading cause of vision loss in the United States, but they are simple to treat. Although the only treatment for cataracts is surgery, you don’t have to be intimidated because cataract surgery is among the most commonly performed surgeries in the world. Advances in technology have made the surgery a painless and effective outpatient procedure. A cataract is the clouding of the normally clear lens of the eye. Though anyone can develop a cataract at any age, they are more prevalent in older adults. Even if you develop a cataract when you’re younger, it grows slowly and may not interfere with your vision for many years. By 80, half of all Americans have either had a cataract or have had cataract surgery. Early on, changing or getting prescription glasses may help. If your vision loss is impacting your daily activities such as driving, reading, cooking, etc., even after a new prescription, your next option is surgery. Sometimes, however, your eye doctor may advise getting surgery to remove your cataract before your vision is impacted or daily activities disrupted. If the cataract interferes with treating other eye conditions, such as macular degeneration and diabetic retinopathy, it should come out. Cataract surgery is a common surgery with a high success rate. About 90% of all surgeries successfully improve the patient’s vision. During the surgery, your surgeon removes your clouded lens and replaces it with an artificial lens, called an intraocular lens (IOL). There are two types of cataract surgery. In both surgeries, a surgeon makes an incision to remove the lens. In traditional cataract surgery, the surgeon makes the incision with a blade during a procedure called phacoemulsification. The probe that your surgeon inserts into the incision emits sound waves to break up, or emulsify, the cataract, which is then suctioned out. The IOL is implanted to replace the cloudy lens. The benefit of laser-assisted surgery is that it not only removes the cataract, but can also improve your vision if you have astigmatism or presbyopia (difficulties seeing up close). At Paragon Eye Associates, they offer custom cataract surgery, using the top of the line FDA-approved LenSx Femtosecond Cataract Laser. During the procedure, surgeons at Paragon Eye Associates use a special surgical confirmation tool to help customize your vision even further during custom cataract surgery. Custom IOLs can be inserted to make your vision even better than it was before cataracts. Custom cataract surgery can eliminate your need for glasses. It’s a good option for those who have had LASIK, PRK, or RK surgery. Recovery from both surgeries is similar. Neither surgery requires stitches. Some patients experience immediate vision improvement, while others may see a gradual improvement over the course of the next few weeks. In both cases, it can take a few months to heal and to fully experience optimal vision results. To learn more about cataract surgery, call Paragon Eye Associates with offices in Arlington and Mansfield, Texas, or make an appointment online. Have you been screened for macular degeneration? Knowing the risks may just save your vision. 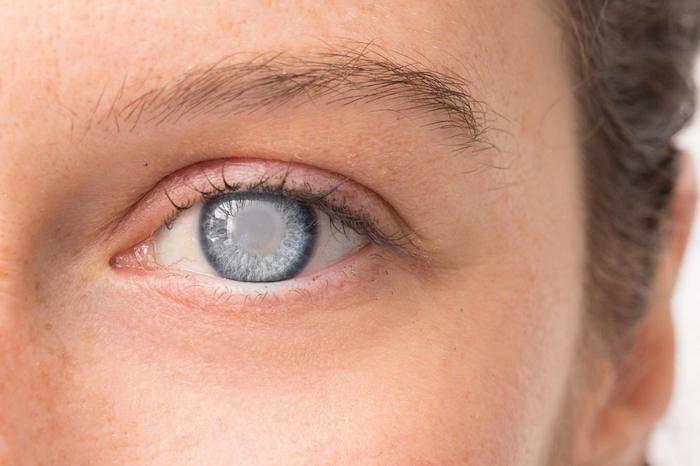 This incurable eye disease can be treated, and the sooner you know you have it, the better chance you have of keeping your sight. Here’s what you need to know. Glaucoma is a very common cause of blindness in the U.S., especially in people over 60 years of age. If you have glaucoma or you're at risk for it, here's how a glaucoma specialist can help you avoid permanent vision loss. What Is Diabetic Eye Disease - And Are You at Risk? If you have diabetes, understanding how the disease can affect your eyesight is critical for preventing vision loss. Diabetic eye disease includes three different types of eye diseases more common among diabetics. Learn what they are & what the risks are.